Our company offers flanges from carbonaceous and corrosion-proof staly according to GOST, OST, and also the ASME, ANSI, DIN, EN standards. We offer these products in a wide range of their choice. 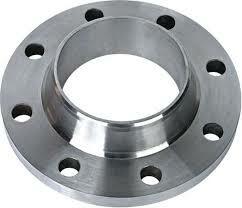 There is a possibility of production of flanges by the individual order, with modification of standard designs. Our employees will hold consultations on any technical questions. Our company makes production of the highest quality and at the adequate prices. Concerning cost and terms of implementation of orders address on the specified contacts. Unbelievable price on Production of flanges in Severodonetsk (Ukraine) company Severodoneczkij zavod himicheskogo nestandartizirovannogo oborudovaniya (SZHNO), ODO.